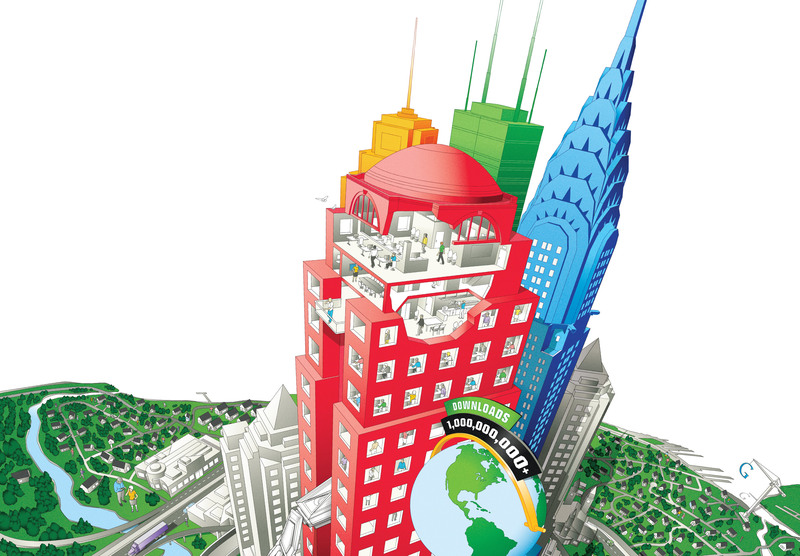 Google Earth Poster – Max Hancock & Co. 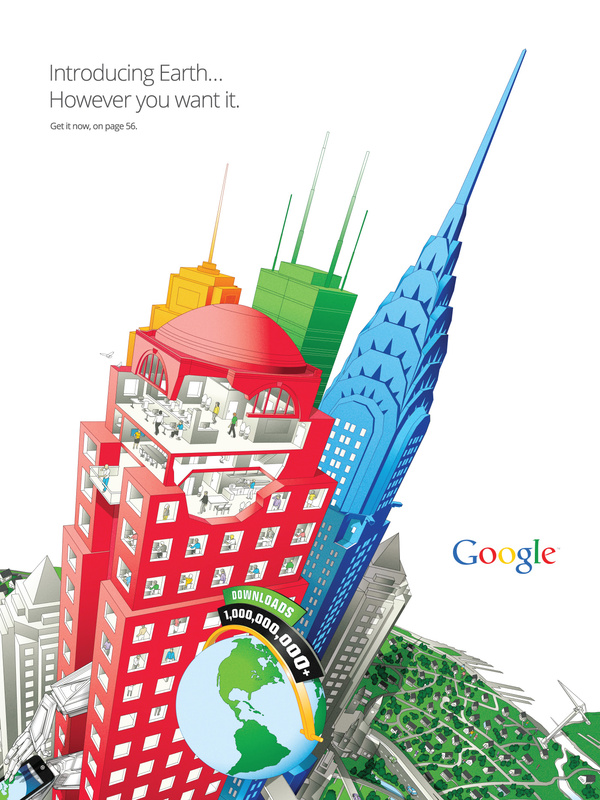 Working with BlueText, I designed and illustrated this 20×30 folded poster magazine insert for Google. It was used to promote their geo-applications to both consumer and federal audiences. 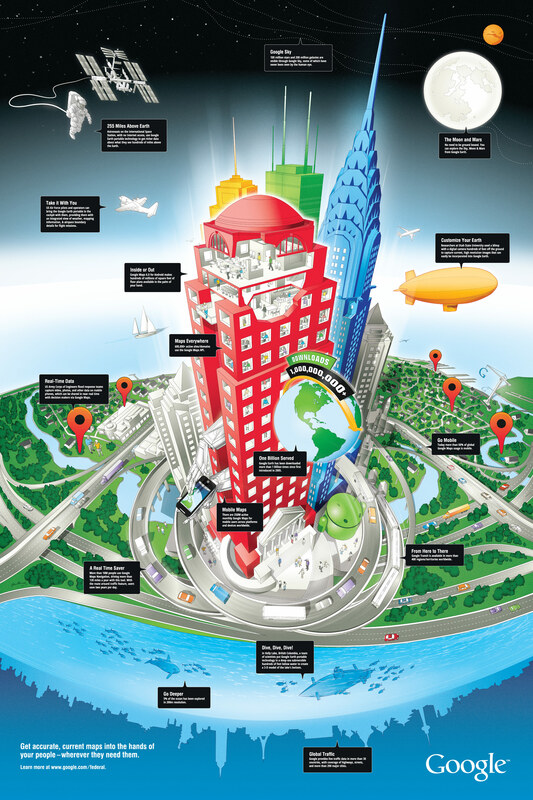 As an infographic, the poster highlights how both Google Earth and Maps were used in real-world applications. 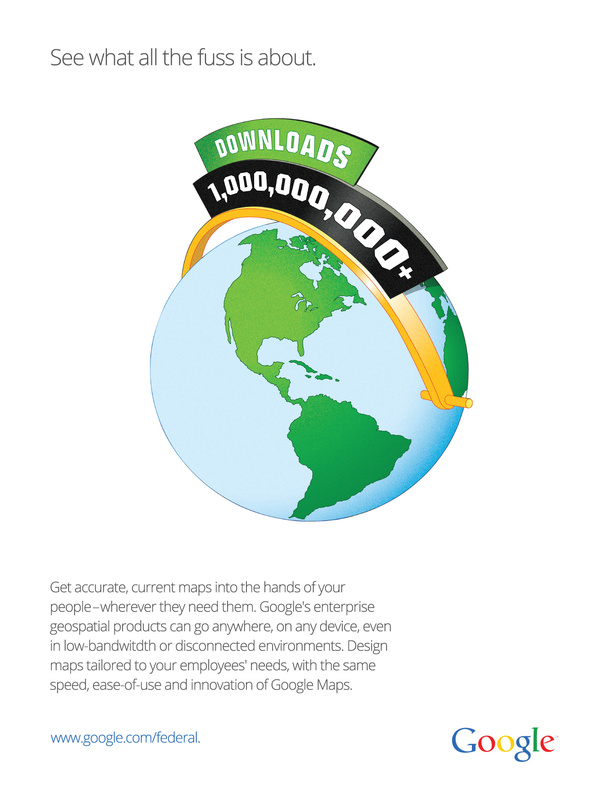 And at the time of publication, 2012, Google Earth surpassed 1 billion downloads—a major highlight for the company, and thus a highlight in the advertisements. 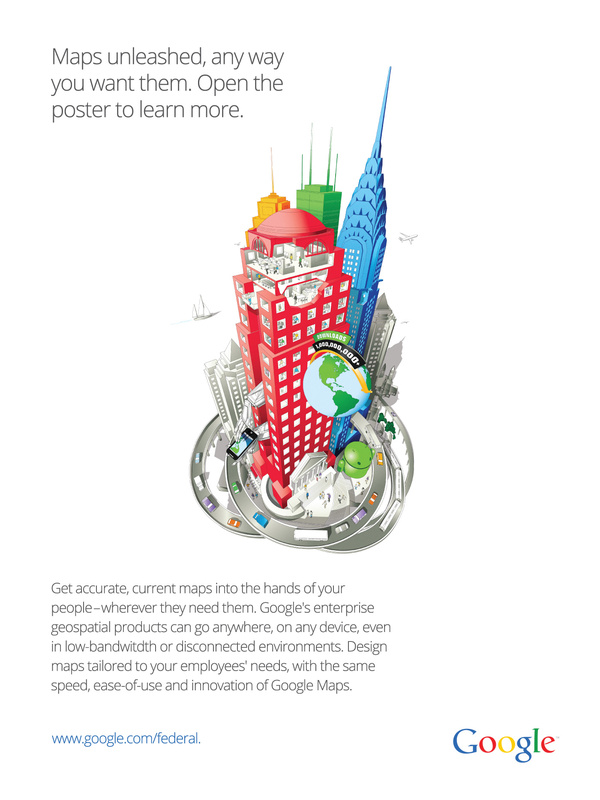 Several ads preceded the poster insert, and one printed on the back of the poster as a cover, which helped to introduce the infographic, as well as drive home some key points about Google’s geospatial products. Google Maps and Google SketchUp were used to ‘rough out’ the composition, and it was used to establish the perspective and shadows. Using the rough rendering as a reference, I began drawing the core outlines of the piece. 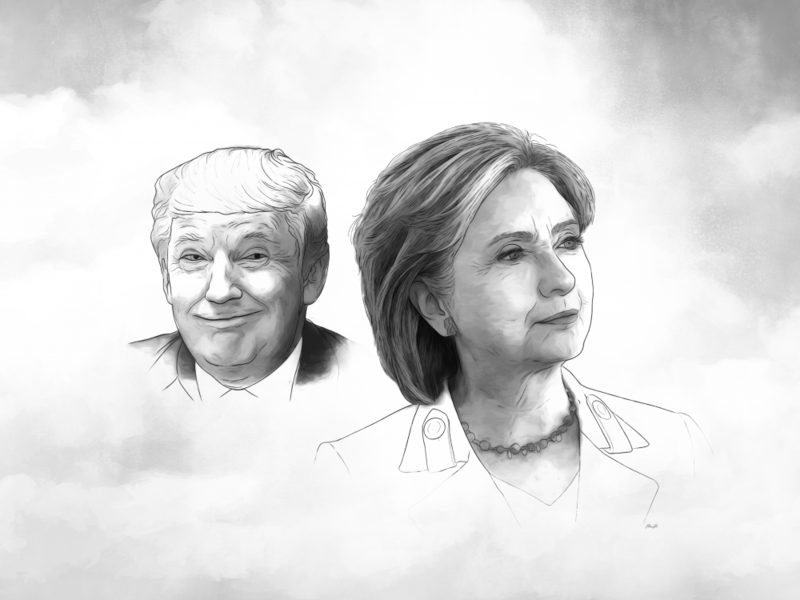 As the copy changed, so did the composition. I had to adapt parts to include new subjects. 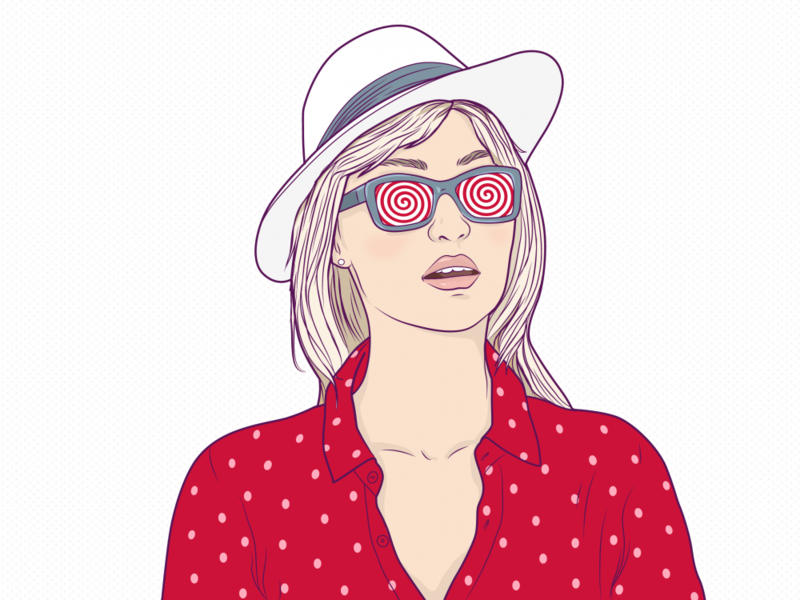 After getting approval on the main outlines, and the final copy done, the coloring process began. Several color styles were developed using Google’s brand colors. The client wanted the poster to look dimensional, so gradients and glow effects were used to add depth. I then added the copy to the poster. And once I had final approval, I prepared the print mechanicals.